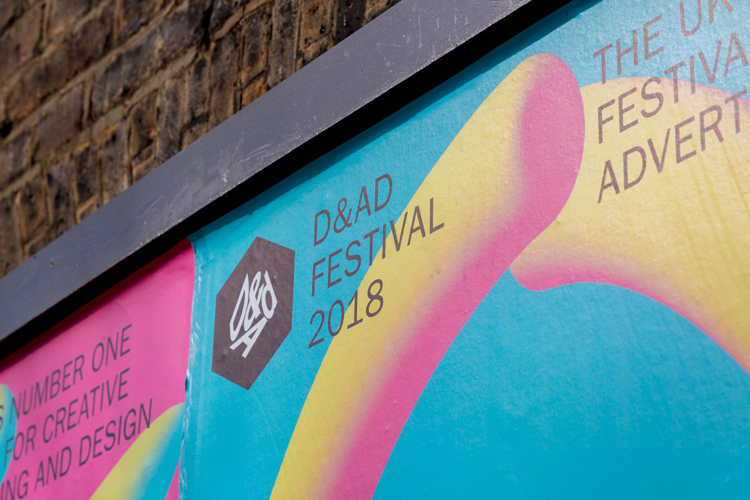 D&AD has launched its eclectic branding for its annual festival and awards, taking place this week – we look at how it was co-designed by Hato and thousands of people online, who drew the digital doodles and scribbles that make up the final identity. Design and Art Direction – better known as D&AD – was founded over 50 years ago as an organisation to celebrate great design and advertising. Its annual awards, which have been running since 1963, still see the coveted pencil-shaped prizes given out to winners, while the more recent D&AD New Blood Awards look to celebrate new talent in the industry. 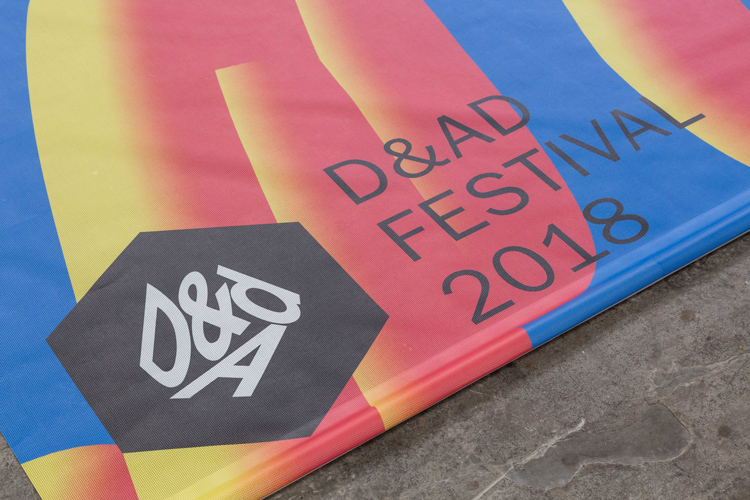 The youngest of its arms is D&AD Festival – a three-day programme of talks, panel discussions and workshops that has been running for three years and looks to engage designers, students and non-designers alike, and encourage them to attend. In 2016 and 2017, The Beautiful Meme was commissioned to create a visual identity for the festival. The studio designed different branding for both years, using eclectic imagery and typography, animation and a bright palette of colours, alongside two different interpretations of the classic pencil. This year, Hato was set the task of creating the identity, and rather than designing something on its own, opted for a collaborative approach by asking members of the public to submit their scribbles via an online drawing tool that would make up the final brand. 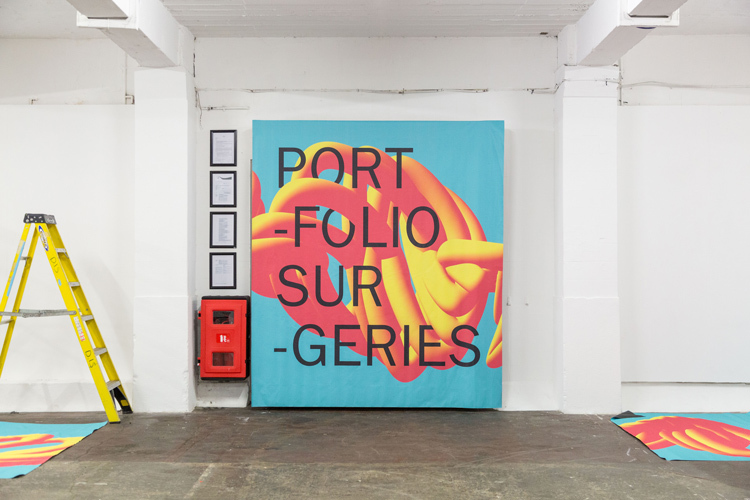 The studio launched a website in January 2018, under the campaign name Start with a Mark, which let users draw digital doodles and make them unique by changing brush size, adding words and using shapes such as dots and lines, then add them to an online gallery. The simple tool featured a short tutorial, showing visitors how to use it, alongside a trash and submit button, making it easy and quick to create an artwork. 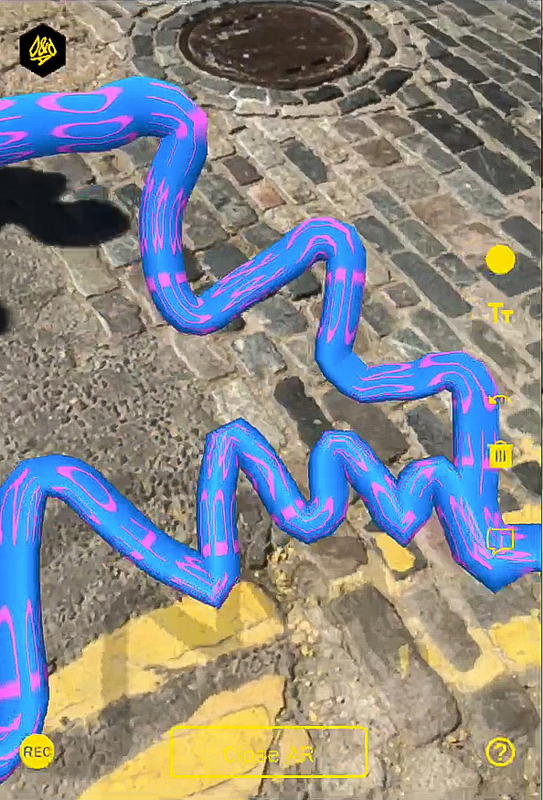 Using augmented reality (AR) technology, the doodles could then be rotated three-dimensionally (3D) and given additional effects, and have been used to inform the final identity for the festival, used across animations, posters, advertising, and wayfinding and environmental graphics at the festival. Engaging the community in the design represents how D&AD has changed over the years to become more welcoming – what began as an awards ceremony for the industry elite, has turned into a celebration of up-and-coming creatives’ work, and a three-day festival open to anyone in London or beyond. The concept also looks to demystify the design process and make it more open and fun. The online campaign collected 1,300 unique marks, which create the final branding. 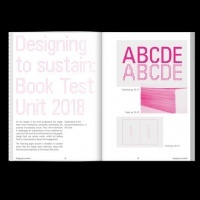 The marks have been used alongside typeface ITC Franklin Gothic Book and different colour palettes depending on the style and feel of different D&AD events. Glossy red, green and blue has been used for the New Blood Awards, with random text wraps around imagery to make it feel “fun and expressive”, while a “higher end” black and gold applies to the D&AD Awards and a “bright” pink, orange, yellow, blue and green has been used for the festival. He adds that the process and final brand demonstrates the mix of creative disciplines that are awarded by and take part in D&AD. “The library of marks really showcases a natural method of communication for copywriters, illustrators, designers, artists, and more,” he says. The simplicity of the tool, which required no specialist knowledge of design programs to use, looked to attract as many people as possible to it, and make submitting an entry quick and non-laborious, so that people “did not feel used” as part of the process, and there was a “fair exchange” between designer and contributor, adds Kirton. Making the design process more open through collaborating with communities, otherwise known as co-design, has become a popular method for design studios over the last few years. 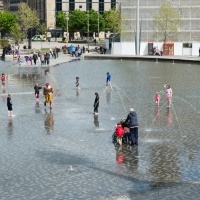 Inviting non-design audiences and members or fans of an organisation to inform something they care about involves them and looks to make them happy with the result. Two recent examples include the Mozilla rebrand, spearheaded by Johnson Banks, and Reddit’s rebrand, led by the company’s in-house team. 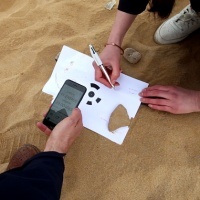 Running a project in this way not only engages people – the D&AD digital tool site received 10,000 visits, Kirton says – but also looks to represent the variety of an audience, as much as is possible through an identity. 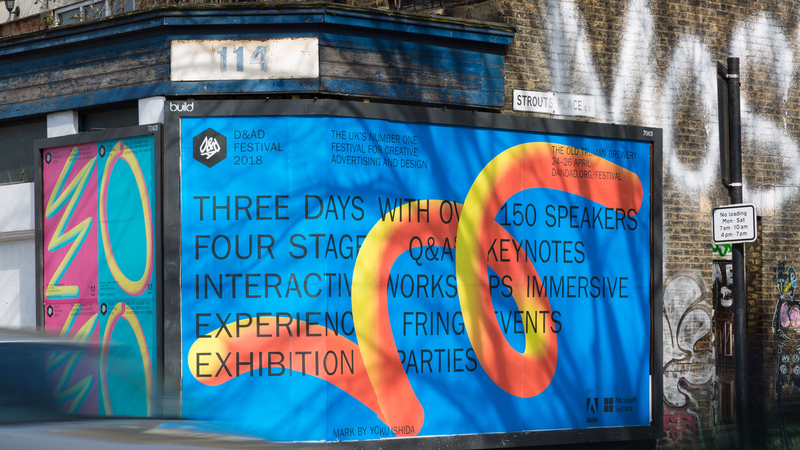 D&AD Festival runs from 24-26 April at the Old Truman Brewery, 91 Brick Lane, London E1 6QR. One-day tickets cost £275 full-price and £82.50 for students, and three-day tickets cost £550 full-price and £110 for students. For more info, head to the D&AD site.